Redline Racing will mount a three-car assault on the 2018 Porsche Carrera Cup GB season finale at Brands Hatch this weekend (29/30 September) with the exciting additions to the team of Pro-AM front-runner Rory Collingbourne and series debutant Mike Wilds. With Fraser Robertson ending his strong maiden campaign a meeting early, the two newcomers come into the Teeside squad’s line-up alongside championship leader Dino Zamparelli, who is targeting an historic eleventh Carrera Cup GB driver’s title for the Redline team. Collingbourne, who celebrated his 21st birthday earlier this month, made his championship debut at the start of the 2018 campaign as he contested three of the first four meetings, with an impressive introduction seeing him battle at the front of the Pro-Am field from the off. The Welshman was no stranger to the BTCC support paddock having previously competed in the Renault UK Clio Cup in 2015 and 2016, before making a superb transition to sportscar racing last year as a podium finisher in the Lamborghini Super Trofeo Asia series. With a great tally of four class podium finishes from his first six Carrera Cup GB races, Collingbourne is now determined to secure a class victory at Brands Hatch as he races with support from Whitson Prestige and as an ambassador for children’s charity Dreams and Wishes. Rory Collingbourne: “I’m really looking forward to being back on the Porsche Carrera Cup GB grid. To get the early podium results in the series was fantastic and I’m now excited to see what success I can enjoy with the brilliant Redline Racing team. 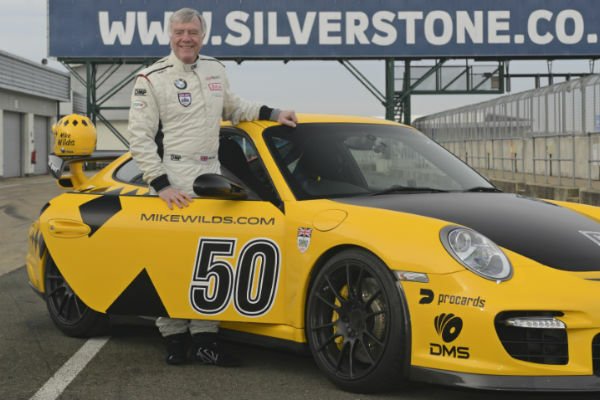 Wilds meanwhile enters the Carrera Cup GB as the latest chapter in an incredible motorsport career spanning over five decades, during which he competed in Formula 1 in the mid-1970’s and contested the Le Mans 24 Hours race on eight occasions in the 1980’s. In recent years Wilds has been a regular racer in historic and GT competition, becoming a three-time champion in the Britcar Endurance Championship, while he has also enjoyed a couple of trackdays in a first generation Porsche 911 GT3 Cup car, as used in the Carrera Cup GB last year. Mike Wilds: “I’m overwhelmed to get the opportunity to race in the Carrera Cup GB. I’ve been a Porsche fan for as long as I can remember and I did my first ever Le Mans 24 Hours race in a 935 in 1981, so any opportunity I get to race a Porsche is always a special moment. Simon Leonard – Team Boss: “We couldn’t be more excited to welcome Rory and Mike to the team for the final rounds of the season at Brands Hatch GP. They are both passionate racing drivers who will be great additions to our line-up. “Rory is a talented young driver and he made a big impression on the paddock with his performances earlier in the season. He has massive potential in the Porsche Carrera Cup GB and we’ll be working hard to ensure he is able to revel in a successful weekend at Brands Hatch. 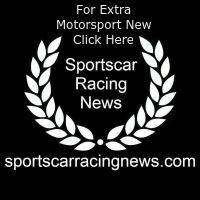 The 2018 Porsche Carrera Cup GB season finale starts with two free-practice sessions around the Brands Hatch Grand Prix circuit on Friday, with qualifying following the next day ahead of Sunday’s two races.